IDFC Institute Conversations hosted a roundtable with Dr. Milan Vaishnav, Senior Associate in the South Asia Program at the Carnegie Endowment for International Peace, for a discussion on "The Indian Administrative Service Meets Big Data." Vaishnav discussed key aspects of the Indian Administrative Services (IAS) from its genesis to its present-day structure, and the conversation around administrative reforms, by reviewing six studies. To open the 'black box' that is the IAS, we have to first put on the table several concomitant issues that impede its effectiveness. Vaishnav identifies them to be: declining human capital, diminished independence, poor incentives for advancement, lack of specialisation, malfeasance. What determines career success within the IAS? It is revealed that a key predictor of future professional success is an IAS candidate's entrance performance and post-entry training scores. However, contrary to what is believed, and what is reiterated by different studies is that specialisation matters. Early on, for its ability to signal for future potential, and later, for its intrinsic value. Whether bureaucrats can show any measurable impact on development indicators? Data suggests bureaucrats with strong local ties to their communities often outperform outsiders in the delivery of public goods and services. This local embeddedness could be a double-edged sword in districts with low literacy and where the possibility of elite capture and threat of corruption looms larger. How do elected officials influence the effectiveness of the bureaucracy? Punitive transfers remain a serious impediment to effectiveness, as the probability that an officer would be transferred in a given year is 53%, and the average tenure of an IAS officer is a mere sixteen months. However, all bureaucrat-politician dynamics don't manifest negatively. It was found that in constituencies that are party strongholds, i.e. when there is political certainty, the district administration approves projects 11% faster than average. Vaishnav also underlines the emerging role of big data in making better resource allocations within the bureaucracy by using the information that the IAS collects about its cadre, and granular data which is increasingly available on public service delivery, flagship development schemes etc. By overlaying the two, we can eventually get answers to the policy problem of administrative reforms and develop a narrative that is strongly rooted in empirical evidence. Watch Vaishnav's video interview with IDFC Institute's Senior Analyst Ishita Trivedi, here. 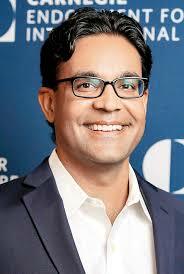 Dr. Milan Vaishnav is a senior associate in the South Asia Program at the Carnegie Endowment for International Peace. His primary research focus is the political economy of India, and he examines issues such as corruption and governance, state capacity, distributive politics, and electoral behaviour. He is the author of a forthcoming book, “When Crime Pays: Money and Muscle in Indian Politics” (Yale University Press/HarperCollins India, 2017). Previously, he worked at the Centre for Global Development, where he served as a postdoctoral research fellow; the Centre for Strategic and International Studies; and the Council on Foreign Relations. He has taught at Columbia, Georgetown, and George Washington Universities. He holds a PhD in political science from Columbia University.